For this week, I want you to concentrate on one particular style of writing – dialogue. 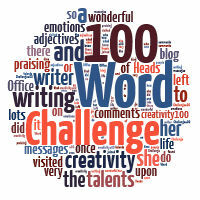 As it will be a conversation and they can be long, you are going to be able to use up to 150 words! The prompt is: …’Are you sure it should be that colour?’ …. So the maximum number of words is 158. Do make sure you pop in regularly to comment on the pieces. This is what the challenge is about, getting even better. So , let’s get talking! Click here to enter your link. It will take you to another page but I will link it back here during the week. Please tweet me when you have posted and I’ll do it as soon as I can! Are You Sure It Should Be That Colour? Morming Julia – I found a moment and I’ve joined the linky. Have a good day.